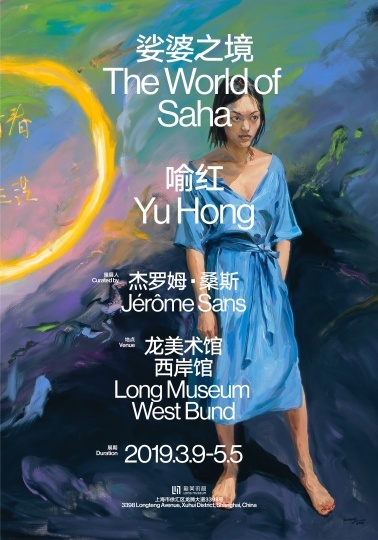 The Long Museum（West Bund） is proud to present one of China’s most celebrated female artists, Yu Hong, with a large comprehensive survey of her work, “The World of Saha”, curated by Jérôme Sans. 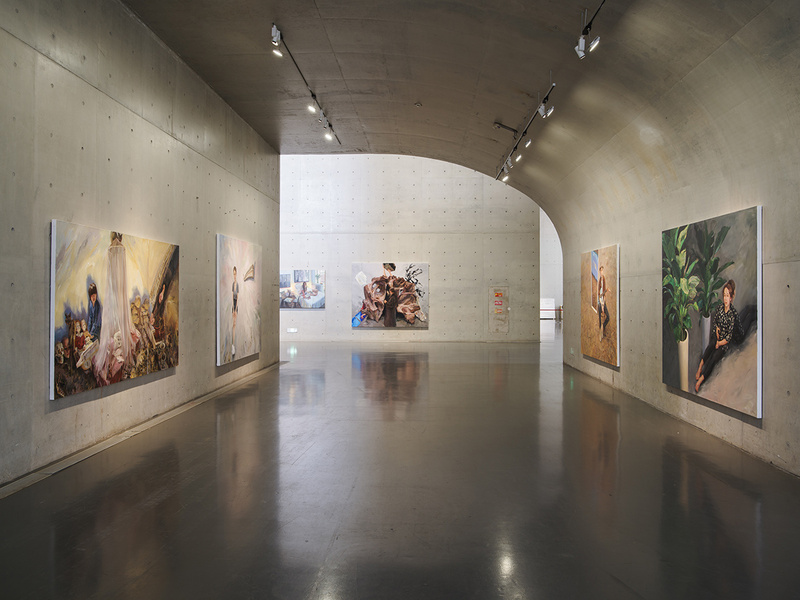 More than a retrospective, this exhibition is envisioned as an “introspective” into her unique and wide-ranging vocabulary. 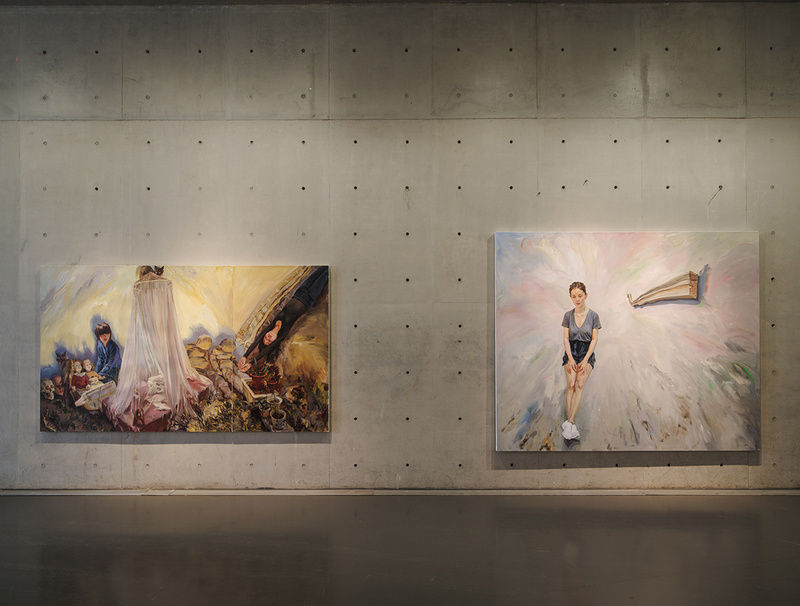 Yu Hong is primarily known for several series of paintings that she has developed since the beginning of her artistic practice, and this exhibition will trace her evolution into new realms which encompass her painterly reflection through new approaches. The exhibition unfolds her world as a visual opera developed here into four different acts, revealing several parallel universes that subdivide into distinct periods: “Time of Rebirth”, her lifelong commitment to a series of “Portraits”, “Half-Hundred Mirrors” and “Witness to Growth”. Yu Hong's creative inspiration is known to be grounded in her personal life and everyday surroundings, building a world that ingeniously fuses different perceptions of time, memories and the evolution of emotional states related to her personal inner world. 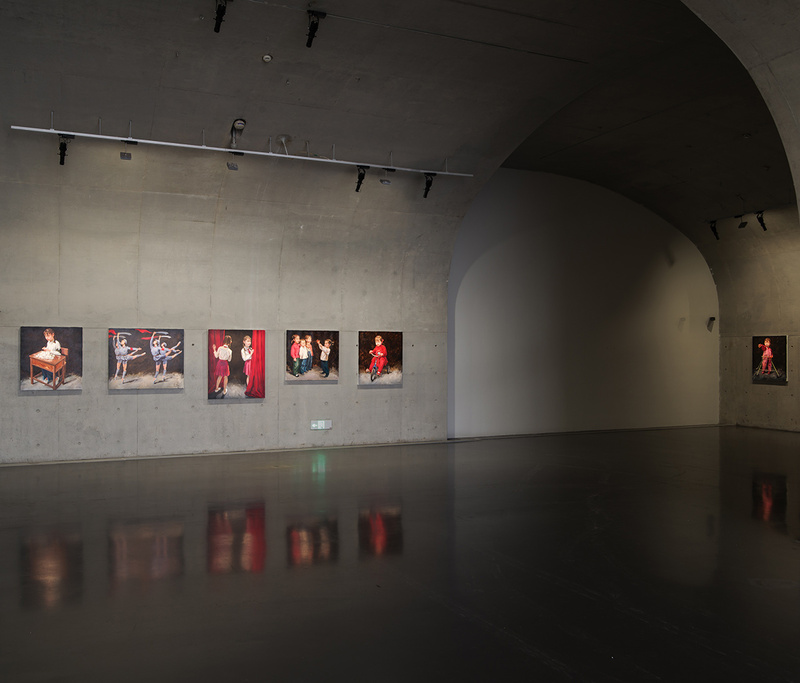 She explores the mutations of women’s everyday lives in China’s changing social, political and cultural debates. Yu Hong was born in Xi’an in 1966. At the age of 14, she began studying oil painting at the attached high school of the Central Academy of Fine Arts (CAFA) in Beijing, and went on to continue her education at the institution, obtaining a postgraduate degree in 1996. Yu Hong was originally trained in the Social Realist style, itself indebted to traditions of European Realism, but she has developed a unique and intimate visual vocabulary in oil painting that often takes inspiration from her own life and those of her relatives. She witnessed first-hand the development of the contemporary art scene in China after the Reform and Opening-up , as associated with the “New Wave” movement (1985) and the controversial “China/Avant-Garde Exhibition” (1989). 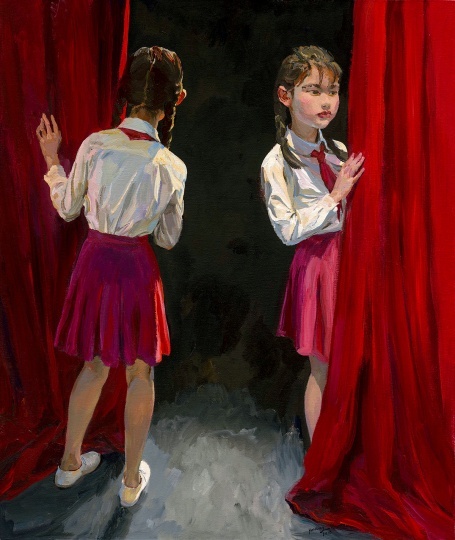 Yu Hong’s urge to directly paint the social reality around her linked her to an emerging movement known as the “New Generation”, a group of young artists who broke away from Socialist Realism, focusing on the realistic representation of the mundane and choosing the people that surrounded them as painting subjects. Yu Hong often uses existing images as a starting point for her practice, taking photographs and her own point of view to create compositions, rearranging them into new combinations emphasizing the objective connotations of memory. Mixing a larger historical perspective with her own personal history, she investigates how pre-existing images can be reused and rearranged into new compositions. Her unique imaginary is nourished by a constant dialogue with other disparate cultural influences that combine to form an inextricable entity. In addition to drawing from Chinese history and Tang dynasty Buddhist paintings, Yu Hong borrows widely from Western painting traditions, from Medieval Gothic Christian painting to Renaissance frescoes. Classical Chinese poetry, which questions endlessly the nature of the universe, society, human nature and animal species, provides her an inexhaustible source to understand the enigmas of our contemporary world. Yu Hong's use of China's poetic and religious heritage is an attempt to reconcile monolithic binaries such as tradition and modernity, the profane and the sacred. Her true subject is temporality, and how the present encapsulates the past and foreshadows the future. By appropriating history, she furthers her fundamental interest in creating a new temporality wherein historical time becomes synchronous with lived reality — a notion of time that has been reduced with the speed of information and pictures, together with social networks. As Warhol predicted, everyone now has the possibility to be famous for 15 minutes; and in the era of social networks and mobile phones always being connected, Big Brother is watching you wherever people are. 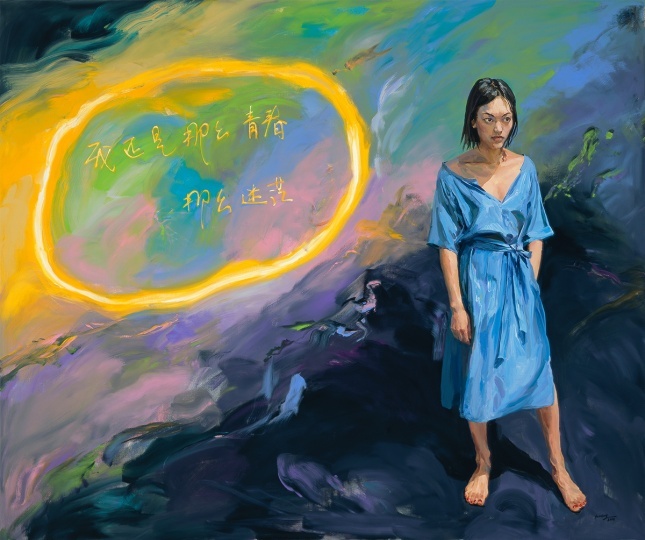 The title of the exhibition refers to “The World of Saha”, a Buddhist expression of great importance to Yu Hong’s personal reflection, meaning “the world to be endured”, the world that is ours, and in which anyone who suffers is the prisoner of their own personal desires. According to traditional Indian cosmology, living beings endure all kinds of difficulties and suffering because of their acts in previous lives, which brought about their birth in this world. The “World of Saha” is also the world of human resilience as an act of resistance, an urge to live in spite of adversity, by surpassing the major wounds of life. 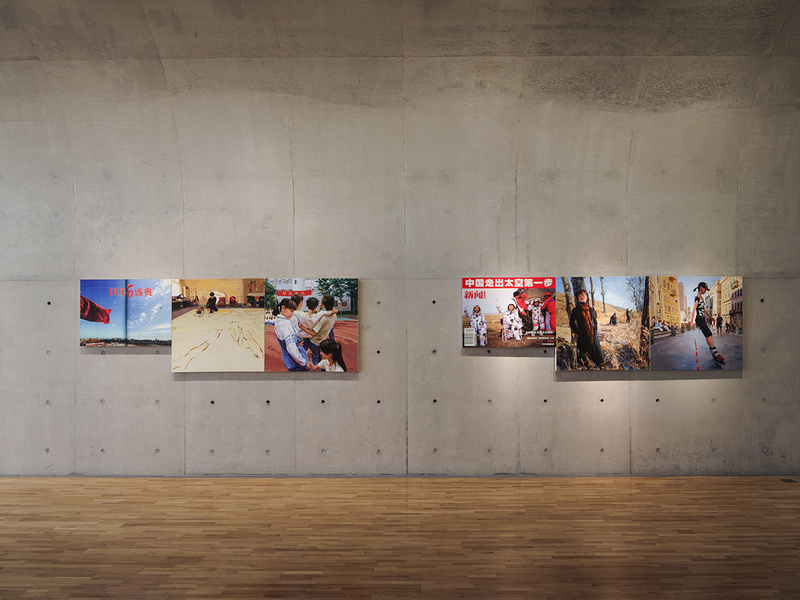 In the exhibition, Yu Hong reconstructs personal and socio-historical memories through the device of photography and through the medium of painting, tracing the traumatic history of China’s last 30 years. Inaugurating the exhibition, the tryptic Heaven on Earth (2018) depicts the ascension from the abyss of a glacier to a cloudy sky by a group of unclothed men and women caught in different strange actions as if in search of something. Yu Hong uses realism and the magical to connect concepts of space and scenes of daily life, emphasizing the uncertainty that dramatically fills our lives. Conveying the idea of a “Time of Rebirth”, New Age is an ultra-contemporary reinterpretation of Michelangelo's The Creation of Adam, suspended between a simultaneously realistic and fantastic scene deeply anchored in contemporary society's turbulence. Yu Hong’s work is permanently suspended between reality and fiction, a balance established by our contemporary digital world. 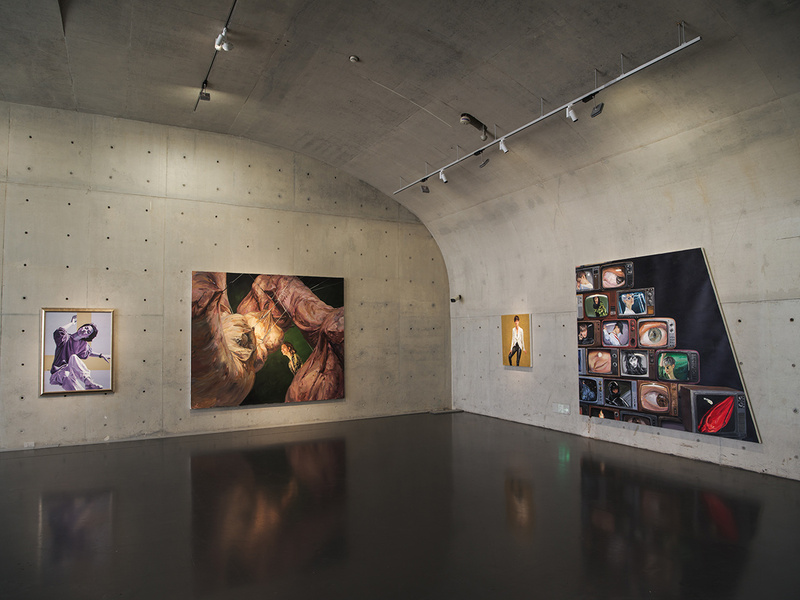 Composed of seventeen portraits including ten specially conceived for this exhibition, most of the paintings in the second chapter connect in pairs one old portrait and one recent portrait depicting different characters chosen by the artist from among her friends, relatives and Chinese celebrities. 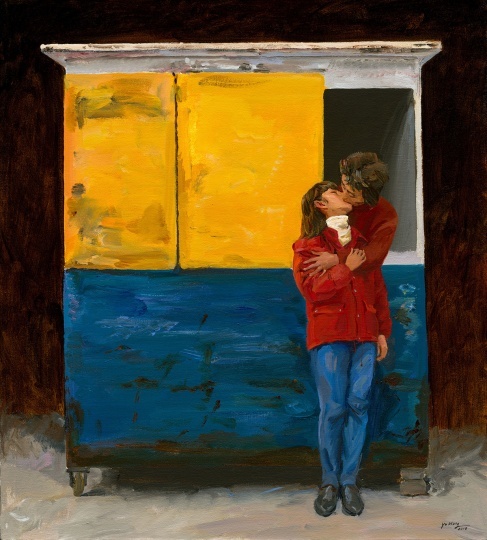 Using family and friends as models, and appropriating additional faces and body gestures from the Internet, the artist paints expressive life-size figures, inspiring a visceral connection in the viewer. Chapter 3, “Half-Hundred Mirrors”, which in Chinese means “50 years old”, deploys a piece in Virtual Reality showing the birth and the growth of a girl and simultaneously that of a group of kids from childhood to their mature years, representing the development and changes of Chinese society. This is not the first time that Yu Hong has displayed her paintings in Virtual Reality, shifting her work to another dimension, an immersive universe in which the body plays a primordial role. Brushstrokes give the digital world a physical reality, and create an exchange between both the digital and the real material of the work. Using her own life – and later, the birth of her daughter in 1994 – as a narrative foundation, Yu Hong has made the ongoing series “Witness to Growth”, which acts as a record of her life by drawing upon photos from the news events happening in her world. 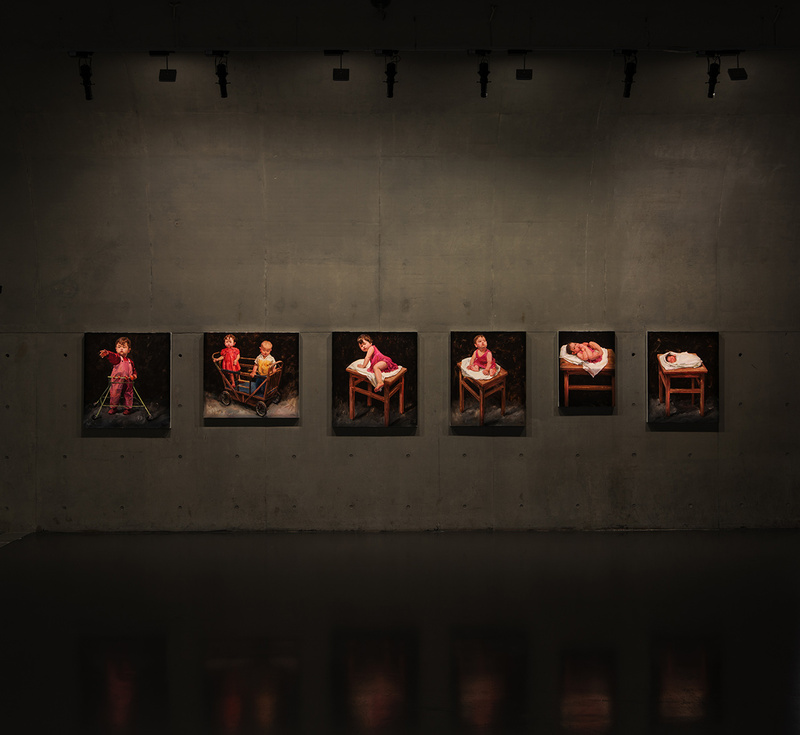 She illustrates the inherent contingencies of official records and personal experiences by pairing a journalistic photograph culled from official Chinese media outlets such as the People’s Daily and China Pictorial with an autobiographical painting of herself and of her daughter Liu Wa, based on photographs taken each year. Filled with allegories about life, birth and the human condition, “Witness to Growth” is for Yu Hong a way to highlight the signification of life. Yu Hong was born in 1966 in Xi’an, China. In the 1980s she studied oil painting at the Central Academy of Fine Arts (CAFA) in Beijing and graduated with a post-graduate degree from the oil painting department in 1996. Since 1988 she has been a teacher in CAFA’s oil painting department. From the start, Yu Hong received training in Realist painting, which over time would translate into her own individual aesthetic language. The core subject of Yu Hong’s paintings has always been human nature, and how human beings grow and exist in this society, in this world. Those figures, painted down by her brush, express the feelings and self-analysis of people thrown into the reality of society. 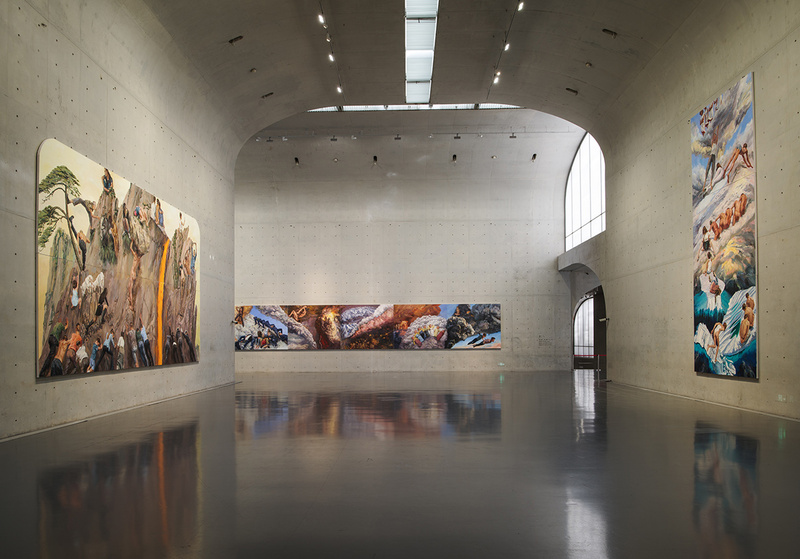 Yu Hong’s recent solo exhibitions include “Garden of Dreams” (2016) at the CAFA Art Museum (Beijing), “Concurrent Realms” (2015) at the Suzhou Museum (Suzhou), “Golden Horizon” (2011) at the Shanghai Art Museum (Shanghai) and “Golden Sky” (2010) at the Ullens Center for Contemporary Art (Beijing). Her work was also featured in “Art and China after 1989: Theater of the World” (2017) at the Solomon R. Guggenheim Museum (New York). Jérôme Sans, Curator, art critic, artistic director and director of renowned institutions, Jérôme Sans was the co-founder and co-director of the acclaimed Palais de Tokyo in Paris (1999-2006). Then, he assumed the role of director of programs at the BALTIC Centre for Contemporary Art in Newcastle (UK) until 2008. 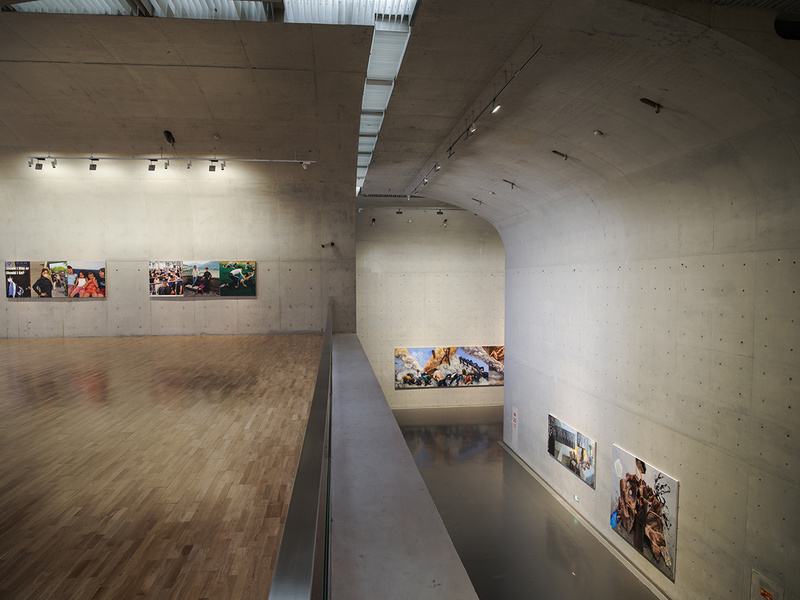 He is the former director of the Ullens Center for Contemporary Art in Beijing (UCCA) (2008-2012). 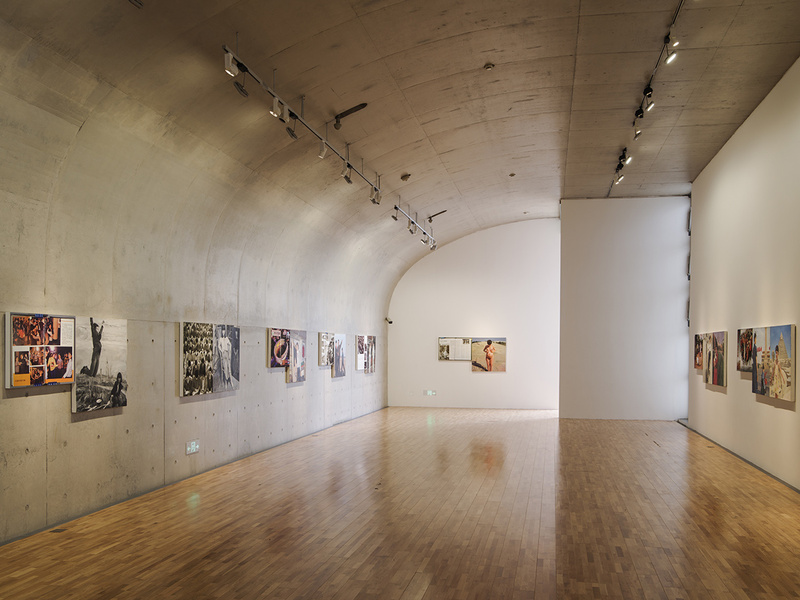 Jérôme Sans has curated numerous major exhibitions around the world, including the Taipei Biennial (2000), the Lyon Biennial (2005), and the Nuit Blanche in Paris (2006), and is the author of several books, including Au Sujet de/About Daniel Buren (Flammarion, 1998); Araki (Taschen, 2001); China Talks (Timezone 8, 2009) and China: The New Generation (Skira, 2014). Jérôme Sans is involved as artistic director in several major urban projects, such as the Rives de Saône-River Movie in Lyon and the Grand Paris Express cultural project (2015-17). He was recently appointed as artistic director of the future cultural pole of the Ile Seguin, developed by Emerige, in the greater Paris region. 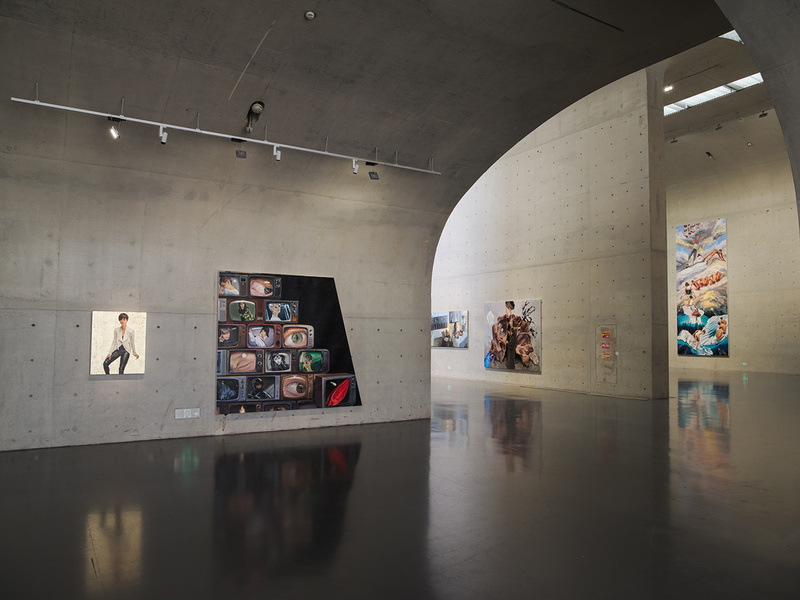 Tickets: 100RMB/person including all exhibitions.